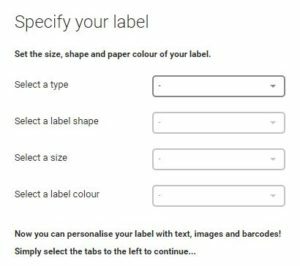 We all know the common uses of labels and stickers; providing garment care instructions, marking a property as our own, sticking to jars and tins so we know what’s inside, and many more. In June 2014, a story relating to labels hit the headlines, when two items of Primark clothing were discovered to have extra labels sewn in that were an apparent cry for help. Whether a genuine cry for help or an elaborate hoax, the story certainly captured the media’s attention. 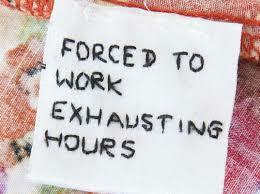 With one reading “Degrading sweatshop conditions” and the other “Forced to work exhausting hours”, the labels were found sewn in with the garment care labels on two separate items of Primark clothing. As both were bought in the same store and originated from different countries, Primark has claimed that the labels are a hoax – but whether a hoax or not, the stunt certainly captured the headlines. 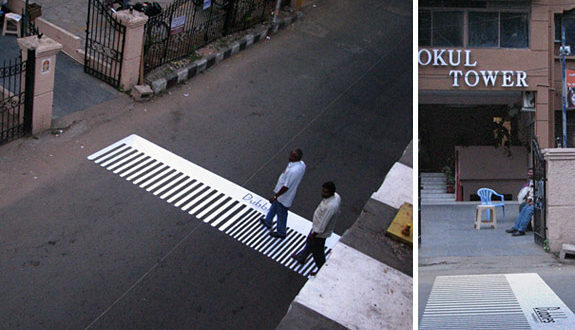 Another great use of stickers is in guerrilla marketing campaigns, where stickers are used to promote a brand or a product in a completely unexpected way. When it comes to marketing, stickers are a great way of getting your message across, for a fraction of the price you’d pay for exposure in magazines, on billboards or on television. 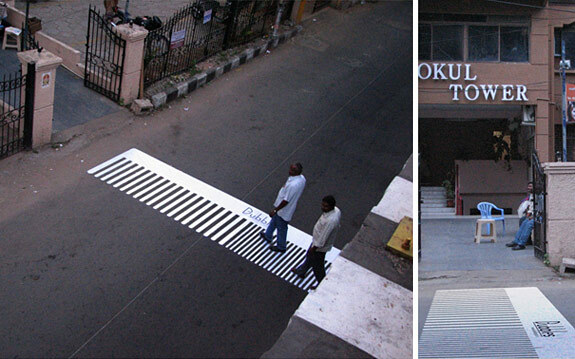 Every day, we’re swamped with marketing messages from various brands via various media, but guerrilla marketing is different; it’s an unconventional way of reaching people that will not just make a brand stand out, but will get people talking about it too if done right. There are plenty of examples online that show how using stickers in guerrilla marketing campaigns can make a brand stand out from the crowd. 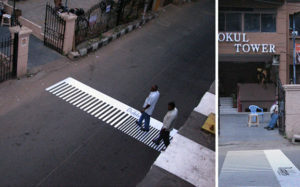 A Chennai hair salon, for example, placed huge comb-shaped zebra crossing style stickers on the road near their salon to let people know they were there. In Manhattan, a coffee company placed stickers designed to resemble coffee cups over steaming manholes, making them resemble steaming cups of coffee. Campaigns such as these have huge appeal, and as well as making people remember the products that are advertised, very few stickers are needed to make a big impact. If such a campaign is done well, there’s no knowing just how many people will take photos and share them via Facebook, Instagram, Twitter and other social networks, potentially opening up the campaign’s reach to a global audience in no time at all. For individuals rather than businesses, consider using stickers to liven up your home decor at a low cost. You may be keen to completely redecorate your home but not have the budget available – but there’s no need for a complete paintwork overhaul or entire rolls of wallpaper to make a big difference. Consider using stickers instead as a cost-effective solution that can make a big difference. Use giant wall decals in any room of the house; even the simplest of designs can give you a feature wall to be proud of. Alternatively, try using multiple smaller stickers in a design that you love to add a border or a decorative effect around an element of your home that you want to highlight. You could even jazz up furniture, picture frames and other items by using stickers, giving them a completely new look in practically no time at all. A few stickers can turn a room that was previously plain into something a lot more special – without looking cheap and tacky. 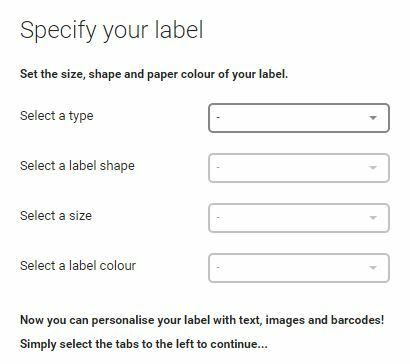 The sticky design is easy with our simple label designer! 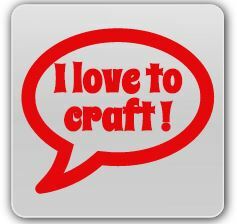 If you’re feeling crafty, then there’s no end of craft projects that could benefit from the use of stickers or labels. You have the obvious options, such as adding stickers to your child’s craft box or using them for scrapbooking. However, there are plenty more novel ways in which stickers and labels can be used. If you’re having a party, you can even use stickers to create novel picks for canapés and nibbles: simply seal the end of a toothpick between a sticker and a piece of card cut to the shape of the sticker. While stickers may have their most common uses, it’s easy to find ways in which to use them that deviate from the norm, showing just how versatile the humble sticker can be.